Have you ever been caught up in a lockout situation? If yes, then you understand how stressful and traumatising it can be. What is worse, most lockout problems seem to always happen at the most inopportune moments. If you do not find a quick solution to your lockout problem, you will be forced to cancel important plans. So the most important thing that you should be concerned with is how to get out of the situation immediately. Fortunately, you can now deal with this problem by hiring professional locksmith services. In Adelaide, a lot of locksmith companies have continued to emerge. This gives residents, car owners and business owners a chance to access reliable locksmith services whenever they are faced with lockout issues. Instead of damaging your locks, you should consider engaging experts who are well-versed with the needed techniques to pick different locks. Professional locksmiths should be able to offer different types of locksmith services. This will guarantee you quick and reliable locksmith services because you will have a locksmith who can handle different kinds of lockout situations. You won’t have to rely on different locksmiths for your locksmith needs. This will in turn help you to save time and money. However, you have to make sure that the person you hire for your project is qualified enough to handle the task professionally. There are various types of locksmith services. The person you hire will depend on the type of service you need. For instance, if you have lost your keys, you should consider hiring a locksmith who specialises in key cutting services. They will help you to replace your keys and open your locks without any damage. It is also important for you to understand that not all locksmiths that you find out there are qualified enough to offer these services. Some are only desirous to make money from naïve customers. So you have to be extremely careful when you are choosing your locksmith in Adelaide. If you want to have the best results, take the trouble to search for the best locksmith. Comparing the existing locksmith companies in Adelaide is a better way of hiring the best locksmiths. Try to understand what each of them is capable of before you make your final choice. Fortunately, you can now find reliable and affordable car key cutting services at Port Locksmiths. 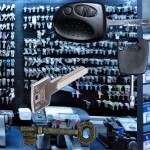 This firm has been in the locksmith industry for many years handling all kinds of lock out problems.